The Alfred Hitchcock classic has made its way to terrorize the iGaming market! 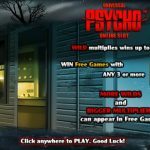 Enter Bates Motel and experience for yourself the fear in Psycho Slot. If you are a fan of horror movies, you will definitely recognize the classic cult film Psycho. 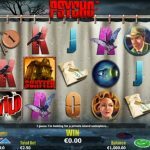 It is the brainchild of the legendary Alfred Hitchcock, and through the expertise of NYX Gaming, it is set to terrorize the minds of online slot enthusiasts. 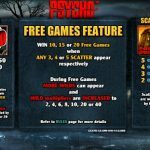 Coming from the partnership of NextGen Gaming and Universal Studios under NYX Gaming, the Psycho slot game is design to make any player’s skin crawl. To bring justice to this horror classic, this game is shrouded with a shady vibe through its graphics and sound effects. Aesthetic wise, you can actually feel the old-school theme of this game. Considering that it is one of the newer titles out on the market, NYX Gaming made sure to keep the authenticity of the movie through designing it to have a 1960s feel to it. 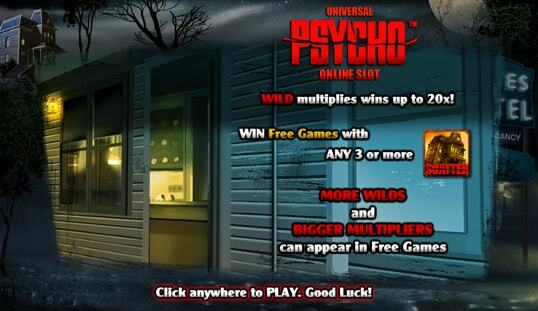 Of course, this complemented the sole mission of Psycho slot in the long run—to bring fear and excitement to gamblers. The musical scoring of this game is exceptional. In fact, without its sound effects, this game would not probably be that terrifying. Here, you will get a mix of creepy music down to climatic sound effects, making you feel that you are actually inside Bates motel. 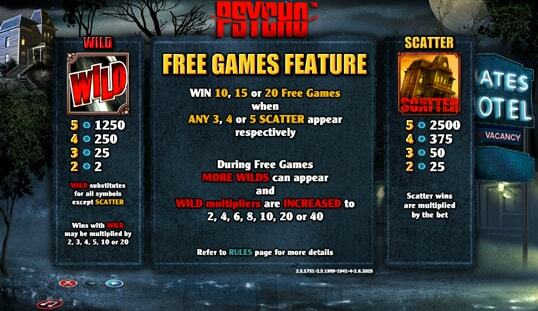 Psycho is a five-reel and 25-pay line slot game. At first glance, it is similar to your conventional online slots. Still, this structure made it effectively invite gamblers to wager. After all, this is a cult classic. When it comes to symbols, you will be seeing a mix of typical slot icons and in-game exclusives. For the in-game exclusives, you will be seeing the faces of the main man Norman Bates and lady Marion Crane. You also get Bates Motel icons and other horror-inspired symbols to add to the overall appeal of the game. 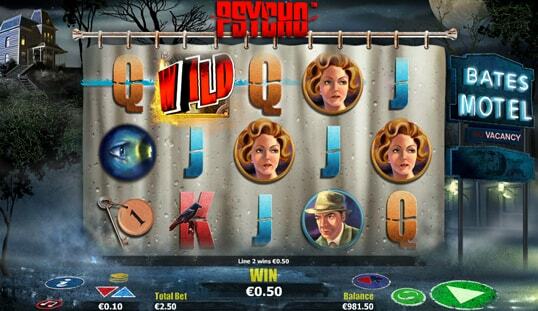 Psycho slot is known for giving away generous amounts of wild symbols randomly. Every time you spin, there is a chance that you will be able to land a wild that can multiply your current winnings byup to 20 times. Other than the generous offers of the wild symbols, you can also grant yourself with its exclusive Free Game feature, which is unlocked by landing three or more haunted house scatter symbols. Three of these symbols yield 10 free spins. If you land four, you will be getting 15 free spins. Finally 5 haunted house scatters give you 20 free spins. If you are lucky enough to land a wild symbol while having a free spin, expect your bankroll to soar up to over 40 times. 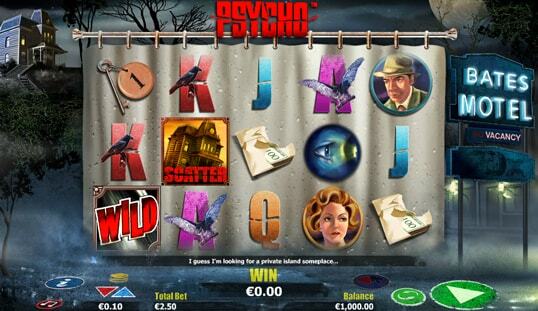 NYX Gaming’s Psycho slot is an excellent game based on the cult classic. 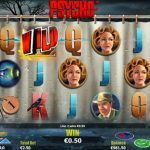 Horror fans and even scaredy-cats are certainly going to enjoy spinning the reels of this lucrative and thrilling online slot game.